Life for many is moved by passions, some of them take you to a pilgrimage to places of worship. Some go to Santiago de Compostela, others to Mecca, and we, Car lovers and 'Motorsport', we have in our minds the Nurburgring as the great temple of motorsport world. He 'Green Hell', as he called at the time the three-time champion Jackie Stewart F1, or Nordschleife, the name of the old layout, has been the scene of many races throughout their 87 years of history. With variations in layout that have received dozens of different categories with victories mythical pilots promoted to the category of 'Ringmeister' (Something like the 'masters' circuit) as Tazio Nuvolari, Alberto Ascari, Juan Manuel Fangio and Jacky Ickx, but also with chilling accidents and fatalities on track because always prevailing danger in the path. The last News coming to us from the Eifel mountains in western Germany -location of Nordschleife-, is that German supplier of auto parts 'Capricorn Group' will be the new owner of the circuit from January 1, 2015. After years with an uncertain future, the current owners have accepted their offer, which rises to 100 million euros. They have also promised a Extra investment of 25 million euros, in order to improve the facilities of the whole complex surrounding the circuit. He spoke in his day even the boss of Formula 1 Bernie Ecclestone, was interested in purchasing. It was created during these years of uncertainty, platform called 'Save The Ring', He is denouncing the squandering by the German government between 2007 and 2009 in the construction of a shopping complex on the same circuit. The public debt generated for this work ironically called 'NüroDisney' he amounted to more than 350 million euros, without having received public acceptance as expected. 'Save The Ring' collected signatures to prevent the circuit from falling into the hands of any private company, creating different profiles of social networks to make themselves known. 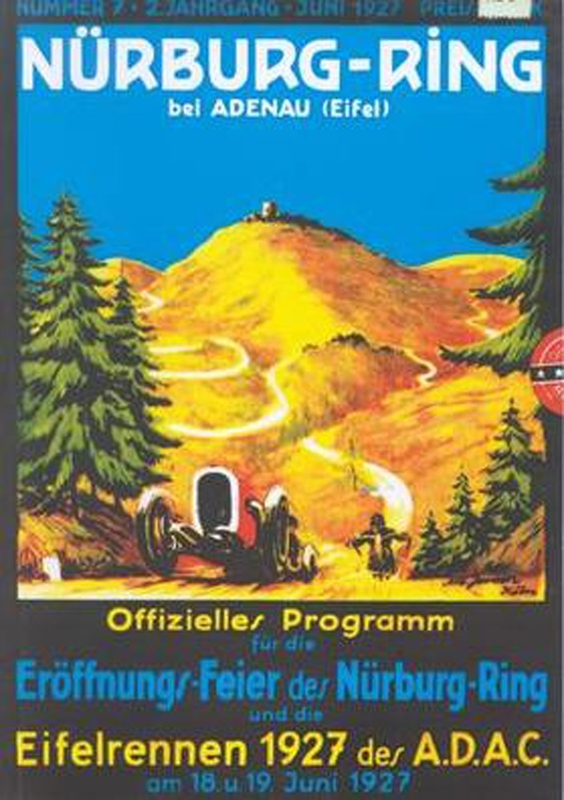 The Nürburgring began construction in 1925 and welcomed his first race, the Grand Prix of Germany, 1927. 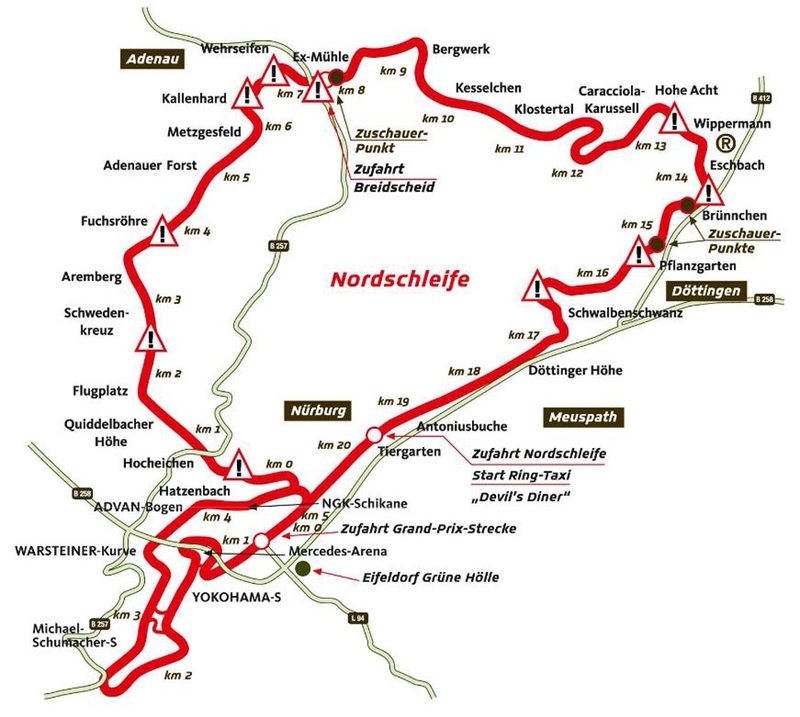 By that time, the circuit was formed by three sections: Nordschleife, 22.8 km, Sudschleife, 7.5 km, and oval 2.24 km. Just three years later, in 1930, happen to be used only the northern section. The southern section and the oval are and to remember after the construction of circuit currently hosts most of the races held at the Nurburgring. This trace of 4.5 kilometers length, it was released in 1985 and he marked the return of Formula 1, behind the Niki Lauda terrible accident that almost cost him his life in 1976. 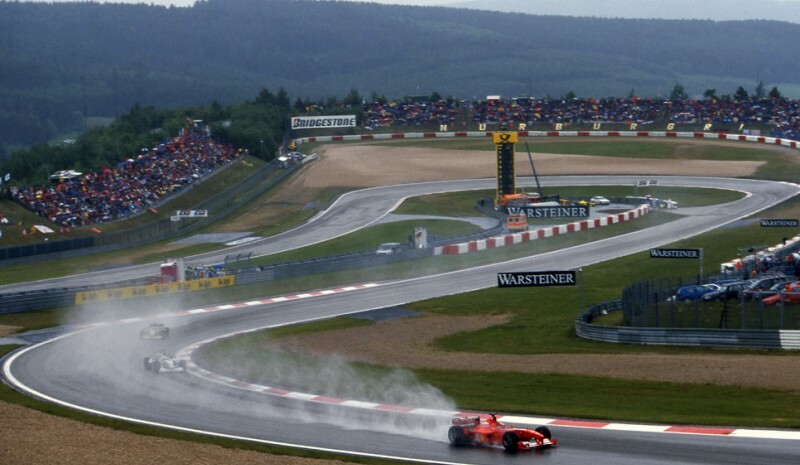 Currently, the pinnacle of motorsport dispute the German Grand Prix every two years, alternating with Hockenheimring. Other German resistance tests, such as series VLN whose main evidence are the Nürburgring 24 Hours- unite the most modern layout with the 20.8 km Nordschleife current, forming thus a circuit of 26 kilometers, with 40 curves to the left, 50 right, and a 300 meter vertical drop height between the lowest and highest point. Increases of 17 percent, 11 percent downs, blind corners, banked curves like the famous 'Karrusel' ... They are part of a circuit in which any driver can put his car for 23 euros and a spin, or other activities such as copilotajes, sightseeing, or run with karts Y off-road experiences elsewhere in the enclosure. 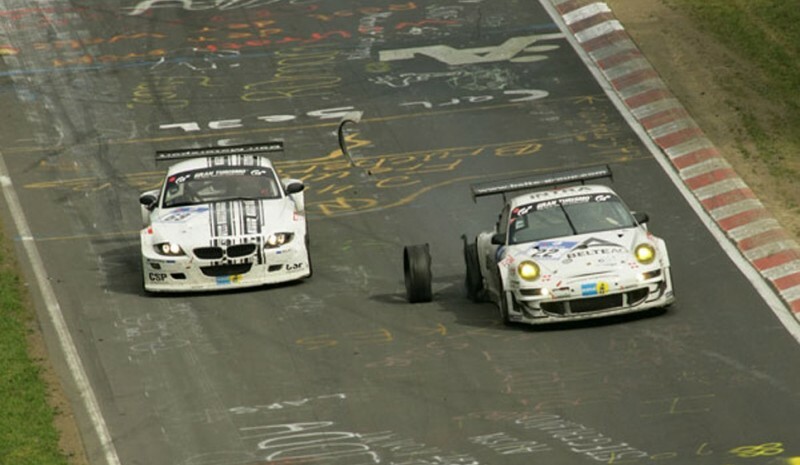 The car brands increasingly used for the Nurburgring tune their new cars, rescuing the original spirit of the layout. And in its conception, it was created as a place Nürburgring test of German manufacturers of the time. The 'fight' we live in today is not only focused on performing overhauls of sports models of the brands, but goes beyond. A new vehicle to associate with the word 'record' on this track is already a marketing strategy more. One of the latest news about the new starred Seat Leon Cupra, marking the lap record for a front wheel drive as standard (7 minutes and 58 seconds). But today, the best time for a production car it holds the radical SR8LM, a tiempazo of 6 minutes and 48 seconds. However, this time was carried out with slicks tires which obviously they are not allowed to use on the open road. Yes you have to consider, for example, time of 6 minutes and 57 seconds has recently completed the super-hybrid convertible Porsche 918 Spyder. 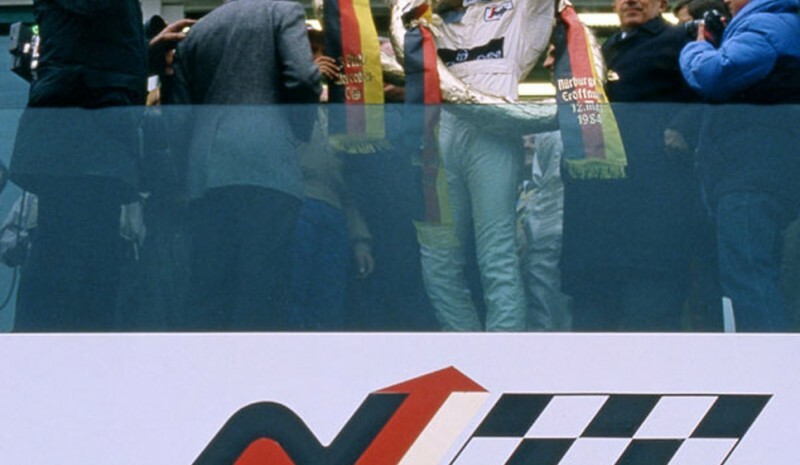 Yes, the vehicle boasts the absolute record Nordschleife is the Porsche 956 prototype racing, what in 1983 He completed a rotation of 6 minutes and 11 seconds. 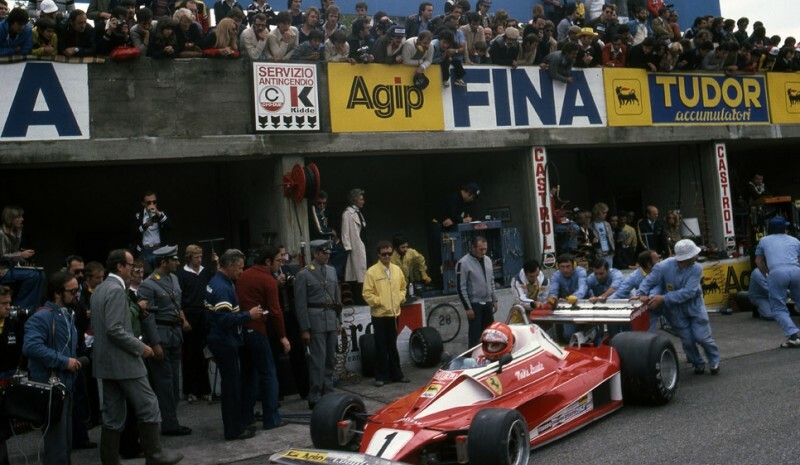 Spectacular performance levels, especially when compared with the Formula 1 70: it was Niki Lauda the first to lose 7 minutes in the qualifying session GP 1976, a day before his terrible accident. Any lover of cars and races should be at least once at the Nurburgring. Witnessing runs behind the old forest tracks Nurburg priceless. And if you can, to give back to the path in any type of vehicle must be an amazing experience ... and dangerous. Because do not forget, it is a circuit with many years behind, with minimum safety measures, with dangerous curves and an extremely long length. If you ever have the chance to go, I recommend learning you the whole circuit (no easy task) in a racing game. You'll thank. They do not call 'the Green Hell'.